The Shadow Queen had a good premise, and a neat magic system, but there was just too much stuffed into not enough pages. There were magic wielders, dragon shapeshifters, earth magic, spells, ogres and distant wars, kingdoms at risk, great transformations, important deaths...and none of it hit as hard as I think it could have had the plot been more fleshed out. The dragon shapeshifters were my favorite aspect; they were a people I would love to read more about. Admittedly, the fault is mine, but this story was completely different from what I thought it would be. Barely about demons and their smoke/essence, this was a story somewhat about the people who trade in the illegal sale of demon smoke (only one POV centered on the demon catchers). Told from multiple points of view, the only perspective I really enjoyed was, surprisingly, Catherine's. She is a typical princess doing the bidding of her father and brother, but I actually believed her character. So many times there are princesses who are brought up submissive and yet the second we turn page two they are rebelling -- while that's a fun story, it is much more believable that a princess raised in fear is actually fearful. That she is actually submissive...she may dream of being different, but to dream of change and to make it happen are two different things. Not until she is removed from her oppressors does she start to embrace that she can have power, that she can make a difference. I liked her, and the "language" she and all noble ladies learn to communicate with one another silently. The rest of the story and characters fell a bit flat for me, though again, it could be on me that I expected a tale about demons. "A princess, a traitor, a hunter and a thief. Four teenagers with the fate of the world in their hands. Four nations destined for conflict. As alliances shift and shatter, and old certainties are overturned, our four heroes find their past lives transformed and their futures inextricably linked by the unpredictable tides of magic and war. Who will rise and who will fall? And who will claim the ultimate prize?" The Golem And The Jinni is a brilliantly told and well-written story steeped in Yiddish and Middle Eastern folklore. 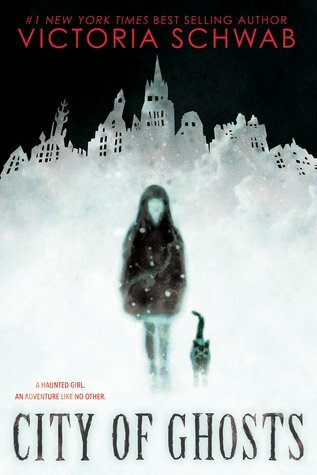 Set in the historical setting of 1800's New York, the magic woven into this story is beautiful. I was captivated from start to finish, and I loved each and every character's complexity. I cared about them all, and appreciated the thorough attention given to every detail, no matter how small. The development is amazing, from a thousand year old Jinni who is missing his memory to the days old Golem who is one-of-a-kind both in her nature and construction. I do not know much Yiddish literature, and felt a refreshing interest while reading. "In The Golem and the Jinni, a chance meeting between mythical beings takes readers on a dazzling journey through cultures in turn-of-the-century New York. Ahmad and Chava become unlikely friends and soul mates with a mystical connection. Marvelous and compulsively readable, Helene Wecker's debut novel The Golem and the Jinni weaves strands of Yiddish and Middle Eastern literature, historical fiction and magical fable, into a wondrously inventive and unforgettable tale." Artwork was beautiful but it was all over the place. I was confused most of the time and felt there was no depth at all to any of the story or characters. Plus the first page has a rabbit having his head shot off (the dead skeleton rabbit then narrates the story) and I'm really not sure what the hell the point of that is at all. I've tried a couple graphic novels over the past year and don't think they are my cup of tea. "KELLY SUE DeCONNICK (Avengers Assemble, Captain Marvel) and EMMA RÍOS (Dr. Strange, Osborn) present the collected opening arc of their surprise-hit series that marries the magical realism of Sandman with the western brutality of Preacher. Death's daughter rides the wind on a horse made of smoke and her face bears the skull marks of her father. 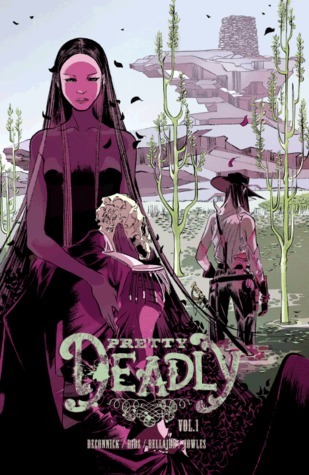 Her origin story is a tale of retribution as beautifully lush as it is unflinchingly savage." These were some of my favorite dragons I've ever read. Interesting and complex, I loved that the dragons were decidedly not human. "Obviously," you think, because they are dragons after all, but a lot of the time we have dragons who act and think like a human, thus giving us more a human character who can shapeshift into an animal. These characters are dragons; they talk, think, and analyze like dragons, and human emotions and motives are foreign notions to them. Well-paced and well-written, this is a solid story with emotion and a healthy balance of romance and plot. I appreciated the dash of humor mixed in the narrative, as well as the social and political issues explored when two races are coexisting under a peace with which not all of each side agree. 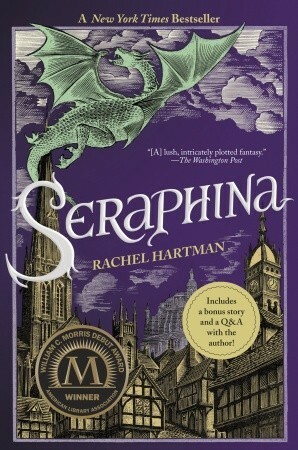 "In her New York Times bestselling and Morris Award-winning debut, Rachel Hartman introduces mathematical dragons in an alternative-medieval world to fantasy and science-fiction readers of all ages. Eragon-author Christopher Paolini calls them, "Some of the most interesting dragons I've read in fantasy." Seraphina Dombegh has reason to fear both sides. An unusually gifted musician, she joins the court just as a member of the royal family is murdered—in suspiciously draconian fashion. Seraphina is drawn into the investigation, partnering with the captain of the Queen's Guard, the dangerously perceptive Prince Lucian Kiggs. While they begin to uncover hints of a sinister plot to destroy the peace, Seraphina struggles to protect her own secret, the secret behind her musical gift, one so terrible that its discovery could mean her very life." This third installment was slow to pick up, but definitely gained a momentum I haven't felt since reading An Ember In The Ashes. Tahir writes oppression very well; you can feel Laia's sorrow for her people as she both wants to help them and is forced to choose a different goal. The characters have grown so much since the first book; you would think you were reading from completely different perspectives. Each have lost more than they can imagine and are terrified of losing more, driving their actions to unforeseeable ends. We finally get some answers, not all of which are pleasant, and we must consider just as our characters must what is the greatest good, and who the actual enemies are. Emotional, satisfying, and full of twists I didn't see coming - it will be a long wait for the next book. "Beyond the Empire and within it, the threat of war looms ever larger. And in the land between the living and the dead, Elias Veturius has given up his freedom to serve as Soul Catcher. But in doing so, he has vowed himself to an ancient power that will stop at nothing to ensure Elias's devotion–even at the cost of his humanity." Holy hell, this book was brutal. Mia is unapologetically dark, and I love it. I remember being a bit annoyed at the narrator's footnotes in Nevernight, so either they grew on me after appreciating the story then or they are slightly less in Godsgrave, but I didn't mind them now. The anecdotes are amusing as ever; between them and the daemon's sarcastic bickering I was chuckling on near every page. I still have SO. MANY. QUESTIONS! About the darkin, the daemon's, the Red Church, who are our real allies and real enemies? And the twists...the TWISTS! I definitely did not see them all coming. These books speak to my rocker soul; Mia is the ultimate badass. "A ruthless young assassin continues her journey for revenge in this new epic fantasy from New York Times bestselling author Jay Kristoff. 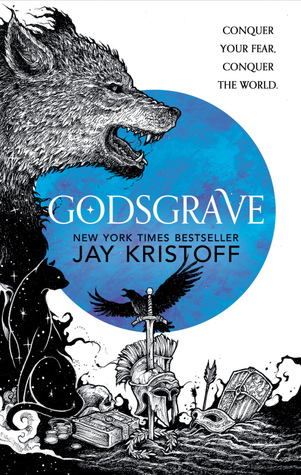 Set in the world of Nevernight, which Publishers Weekly called “absorbing in its complexity and bold in its bloodiness,” Godsgrave will continue to thrill and satisfy fantasy fans everywhere." I shouldn't hope or expect it to be the same, but this one gives me Anna Dressed in Blood vibes. Not that I want it to be the same, but I hope to like and be creeped out by this one as much as I was by Anna. "Cassidy Blake's parents are The Inspectres, a (somewhat inept) ghost-hunting team. But Cass herself can REALLY see ghosts. In fact, her best friend, Jacob, just happens to be one. When The Inspectres head to ultra-haunted Edinburgh, Scotland, for their new TV show, Cass—and Jacob—come along. In Scotland, Cass is surrounded by ghosts, not all of them friendly. Then she meets Lara, a girl who can also see the dead. But Lara tells Cassidy that as an In-betweener, their job is to send ghosts permanently beyond the Veil. Cass isn't sure about her new mission, but she does know the sinister Red Raven haunting the city doesn't belong in her world. Cassidy's powers will draw her into an epic fight that stretches through the worlds of the living and the dead, in order to save herself." *As usual, subject to change on a daily basis. I seem to take issue with being told what to read, including by myself. "Jacqueline Carey is back with an amazing adventure not seen since her New York Times bestselling Kushiel’s Legacy series. Lush and sensual, Starless introduces us to an epic world where exiled gods live among us, and a hero whose journey will resonate long after the last page is turned. If Khai is to keep his soul’s twin Zariya alive, their only hope lies with an unlikely crew of prophecy-seekers on a journey that will take them farther beneath the starless skies than anyone can imagine." This is The Name of The Book book of the month, so I'll be reading along and hopefully be able to join in the discussion end of August! "Miryem is the daughter and granddaughter of moneylenders... but her father isn't a very good one. Free to lend and reluctant to collect, he has loaned out most of his wife's dowry and left the family on the edge of poverty--until Miryem steps in. Hardening her heart against her fellow villagers' pleas, she sets out to collect what is owed--and finds herself more than up to the task. When her grandfather loans her a pouch of silver pennies, she brings it back full of gold. 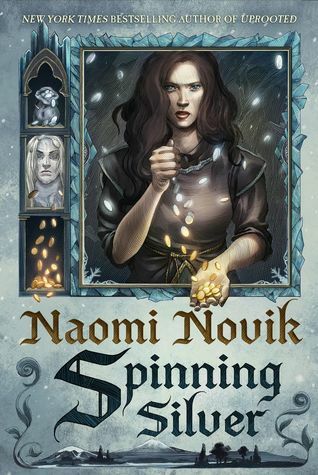 But having the reputation of being able to change silver to gold can be more trouble than it's worth--especially when her fate becomes tangled with the cold creatures that haunt the wood, and whose king has learned of her reputation and wants to exploit it for reasons Miryem cannot understand." This one came out earlier this year, and I've had it on my TBR since. As an opportunity I am head over heels for just presented itself, and this just happens to be a product of said opportunity, I'll be reading this month! "In the kingdom of Sempera, time is currency—extracted from blood, bound to iron, and consumed to add time to one’s own lifespan. The rich aristocracy, like the Gerlings, tax the poor to the hilt, extending their own lives by centuries. But going back to Everless brings more danger—and temptation—than Jules could have ever imagined. Soon she’s caught in a tangle of violent secrets and finds her heart torn between two people she thought she’d never see again. Her decisions have the power to change her fate—and the fate of time itself."